Jerusalem Cherry Poisoning is the accidental or intentional intake of the plant or plant product containing the compound. What is Jerusalem Cherry Poisoning? What are the Causes of Jerusalem Cherry Poisoning? What are the Signs and Symptoms of Jerusalem Cherry Poisoning? The poison is known to primarily affect the digestive and nervous system. The stomach symptoms may be onset after a period of 8-10 hours. How is First Aid administered for Jerusalem Cherry Poisoning? Who should administer First Aid for Jerusalem Cherry Poisoning? 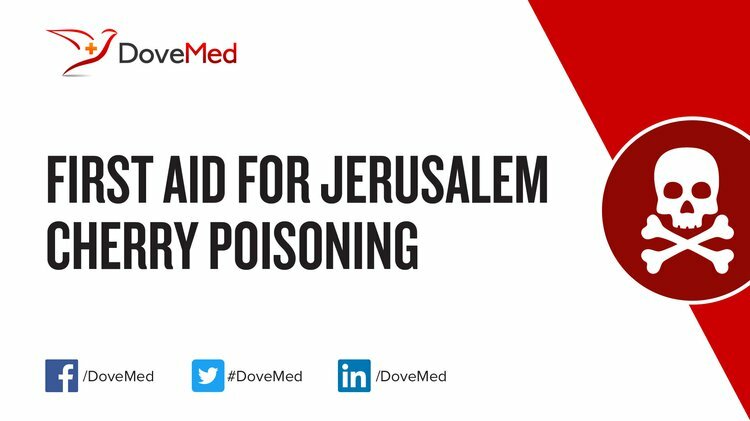 First aid for Jerusalem Cherry Poisoning is administered by healthcare professionals. What is the Prognosis of Jerusalem Cherry Poisoning? How can Jerusalem Cherry Poisoning be Prevented? Monseny, A. M., Sánchez, L. M., Soler, A. M., de la Maza, V. T. S., & Cubells, C. L. (2015). Poisonous plants: An ongoing problem. Anales de Pediatría (English Edition), 82(5), 347-353. Sardoei, A. S., Shahadadi, F., Shahdadneghad, M., & Fallaah Imani, A. (2014). The Effect of Gibberellic Acid on Reducing Sugar of Jerusalem Cherry (Solanum pseudocapsicum L.) Plant. International Journal of Advanced Biological and Biomedical Research, 2(3), 690-695. Bryan, C. L. (2012). Barrett Bush management plan. Environmental Research Institute, The University of Waikato. Kennedy, J. R. B., Cushman, L. B. C., & Lasalle, W. N. T. J. L. (2013). NOTES FROM. Ovid, Metamorphoses, 424.